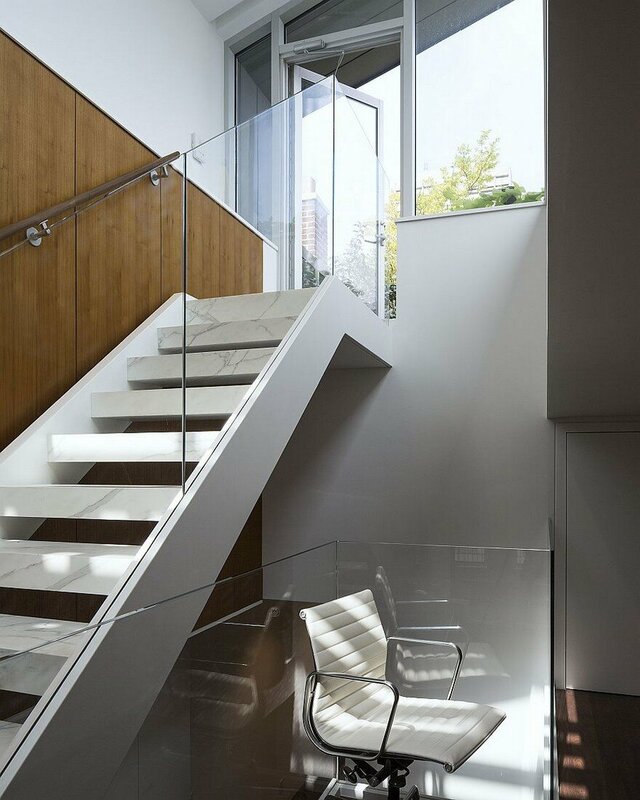 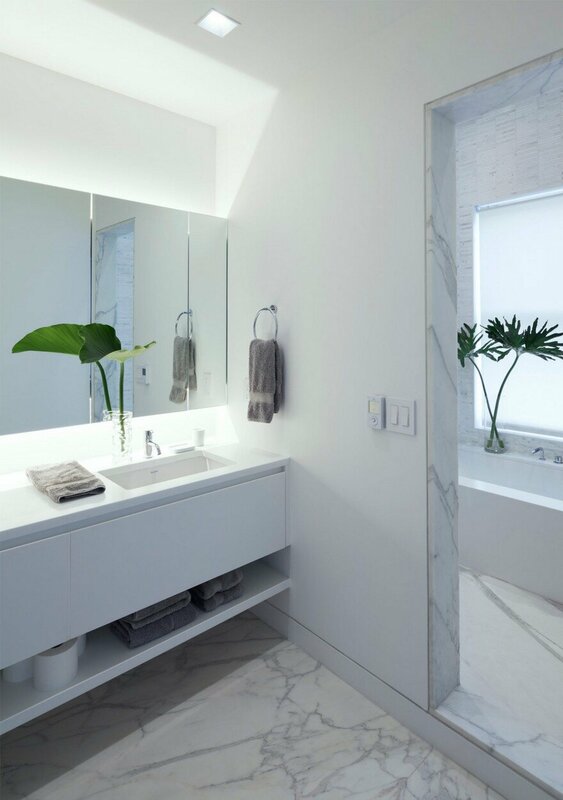 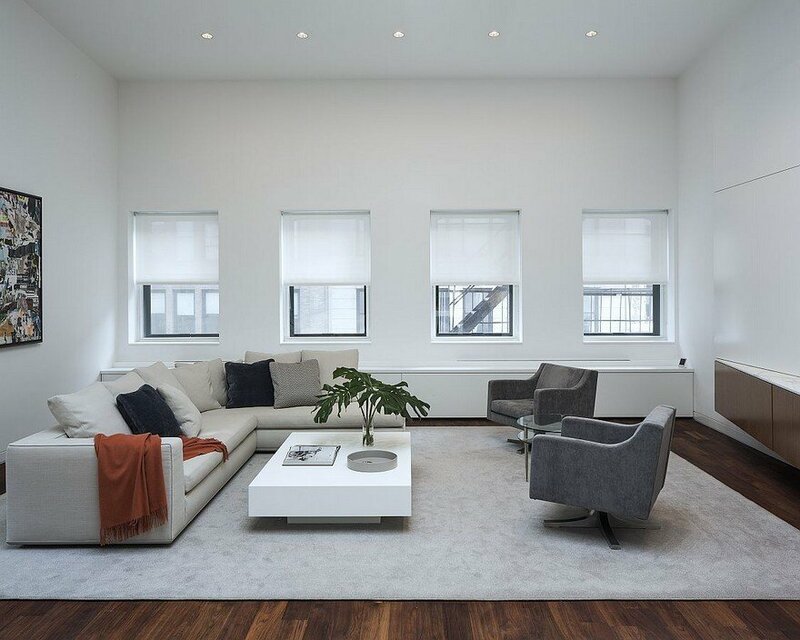 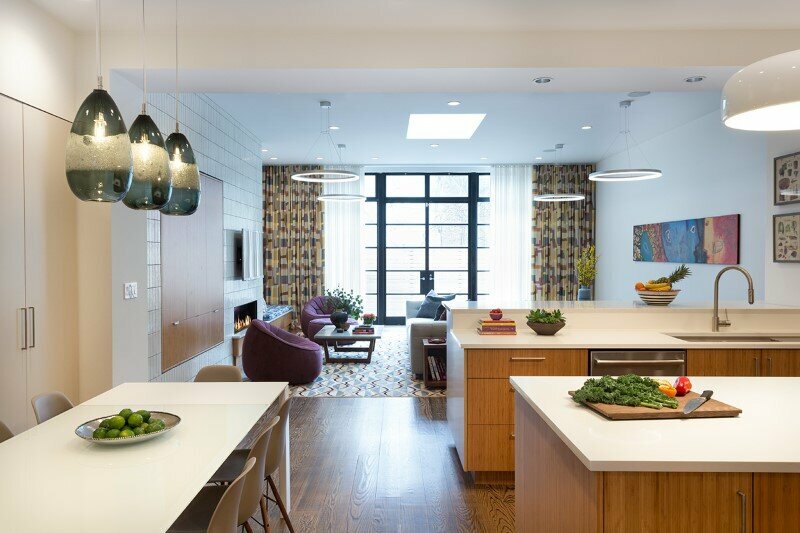 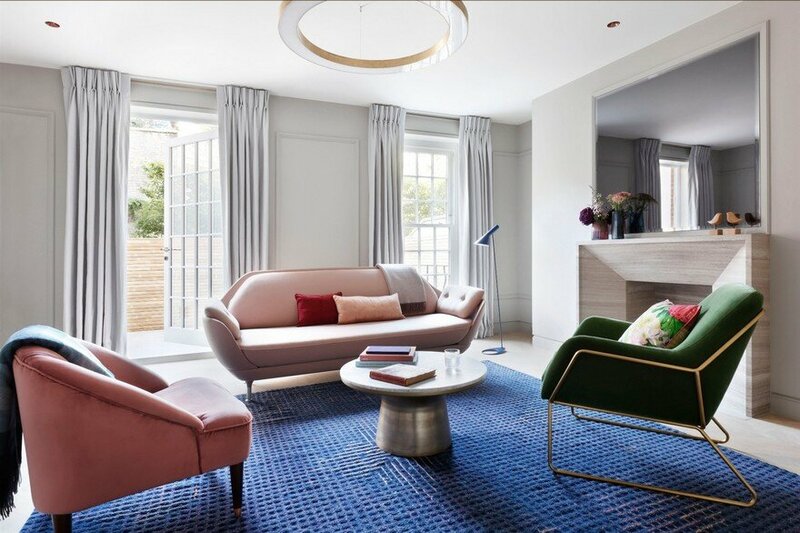 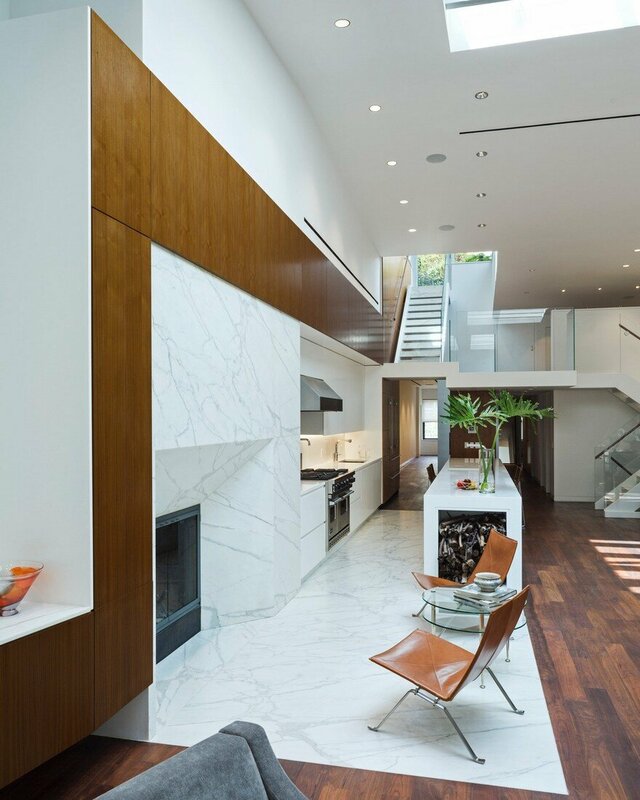 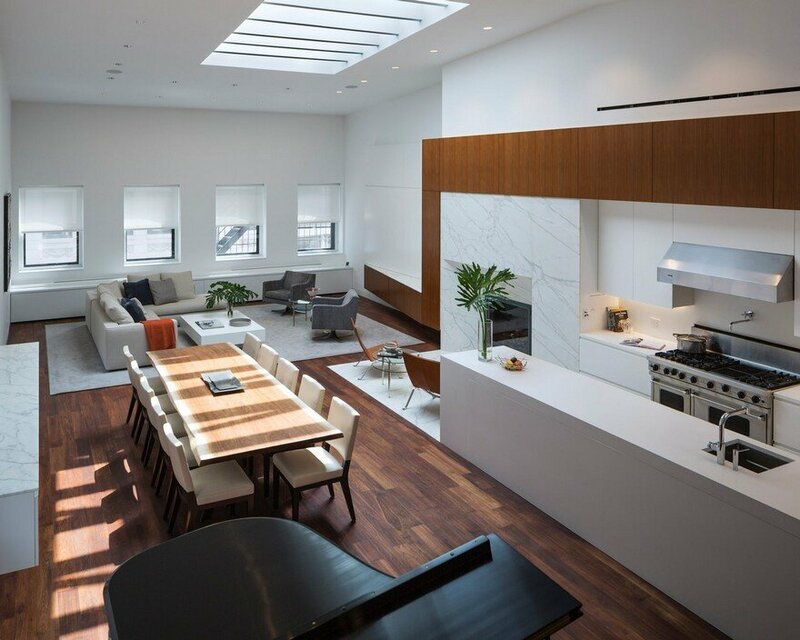 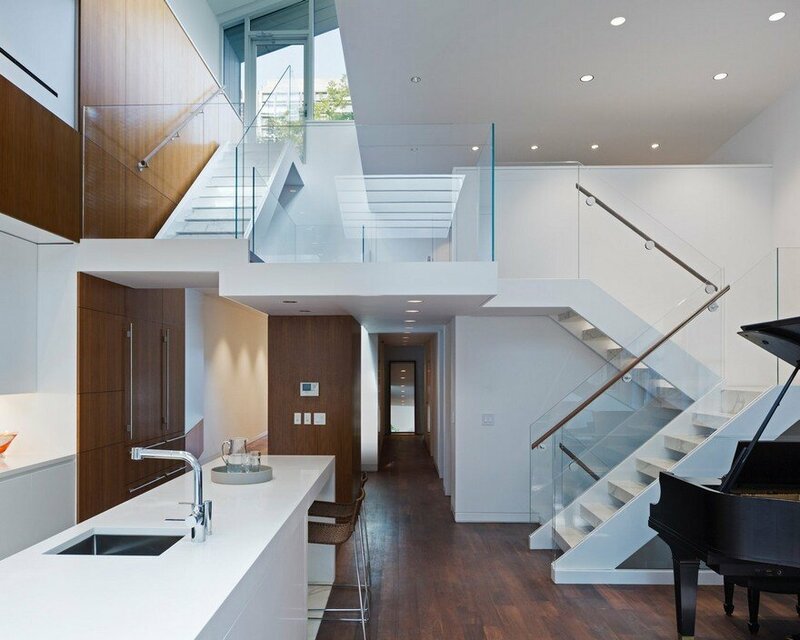 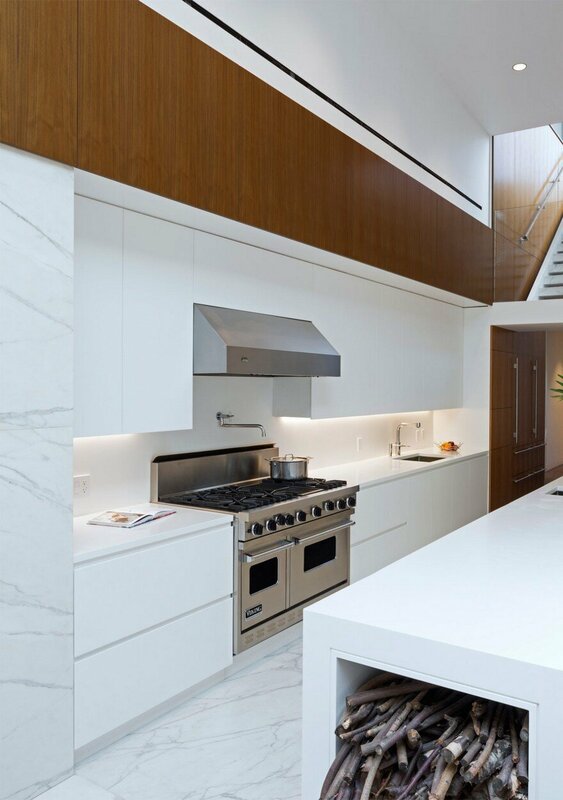 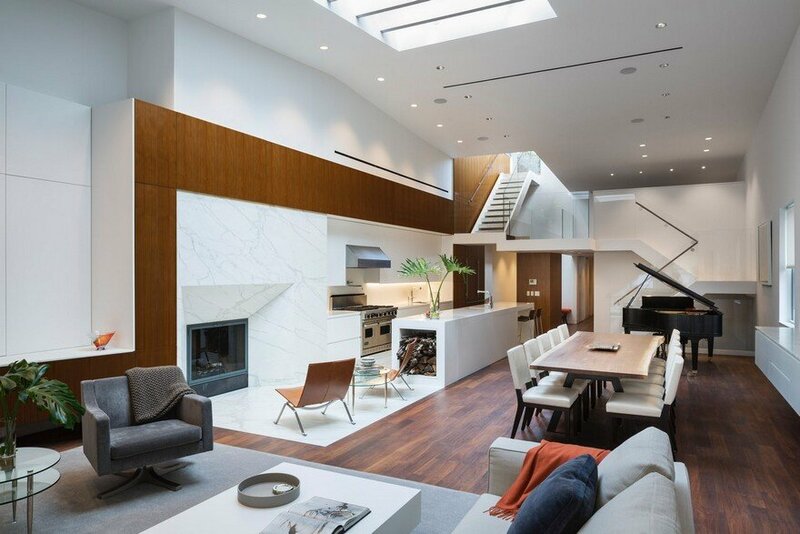 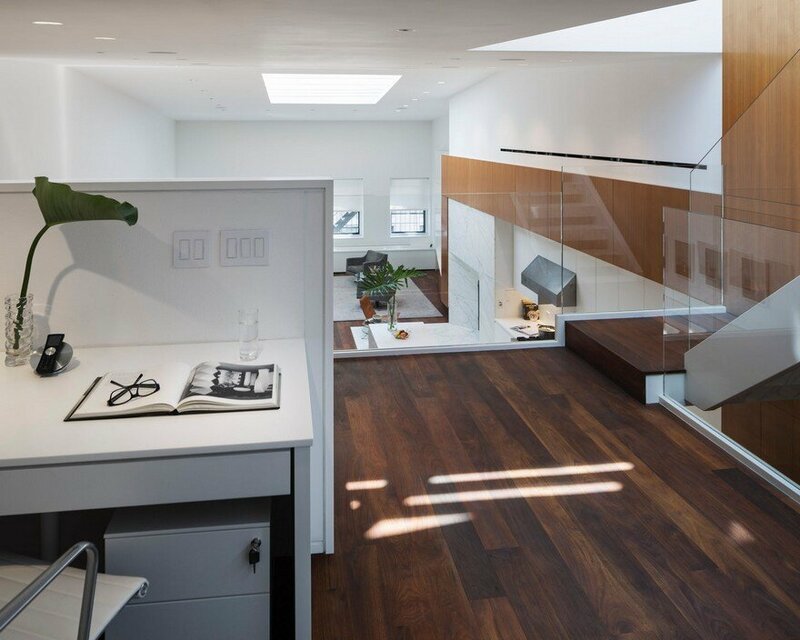 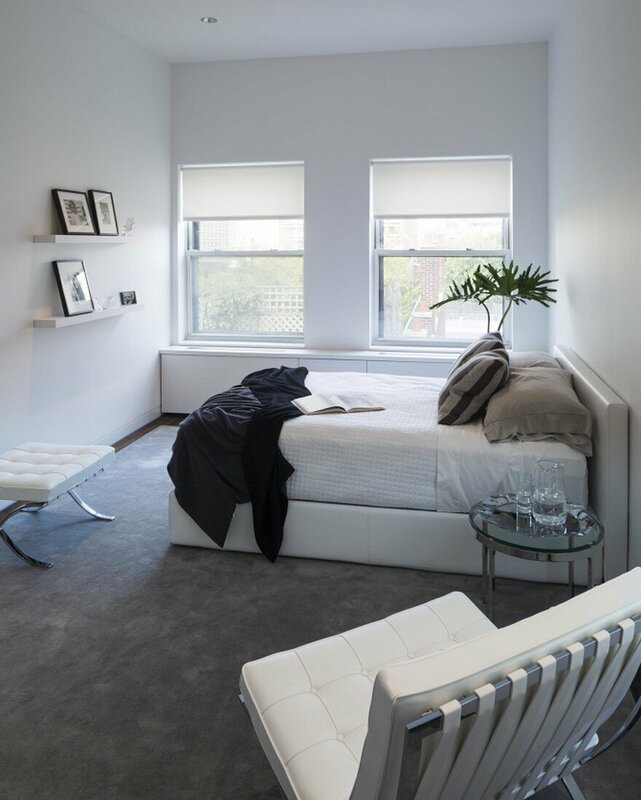 This five-bedroom, four-bath, duplex penthouse renovation features a new open-riser marble and glass stair connecting two levels to a mezzanine and roof garden. 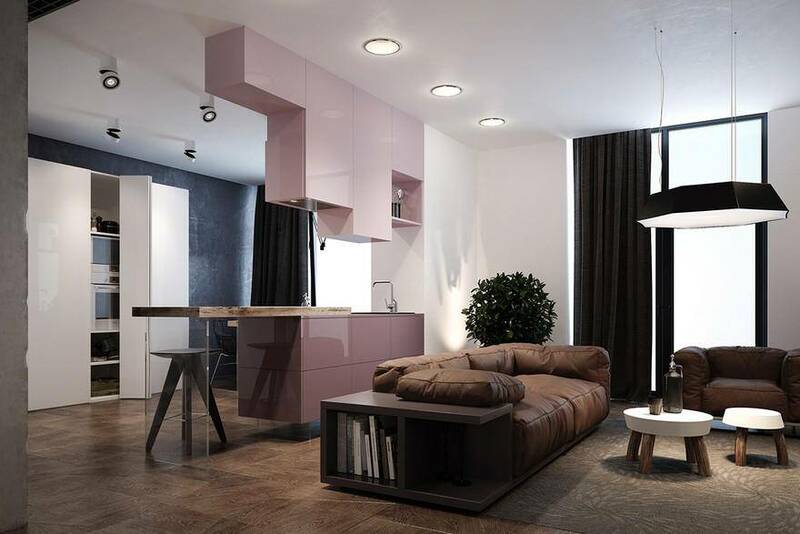 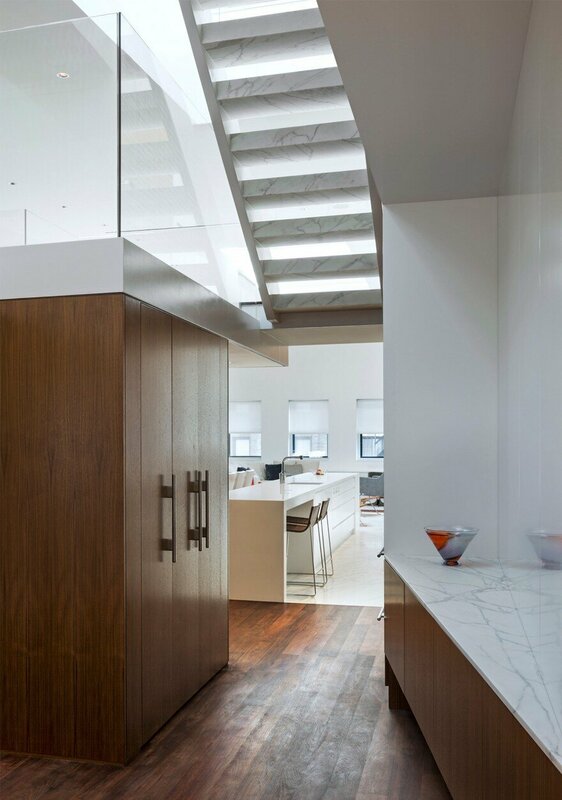 A sixteen foot long Corian kitchen island, white marble fireplace surround and walnut wood clad wall integrating storage, media and pantry functions, runs the length of the loft-like upper floor. 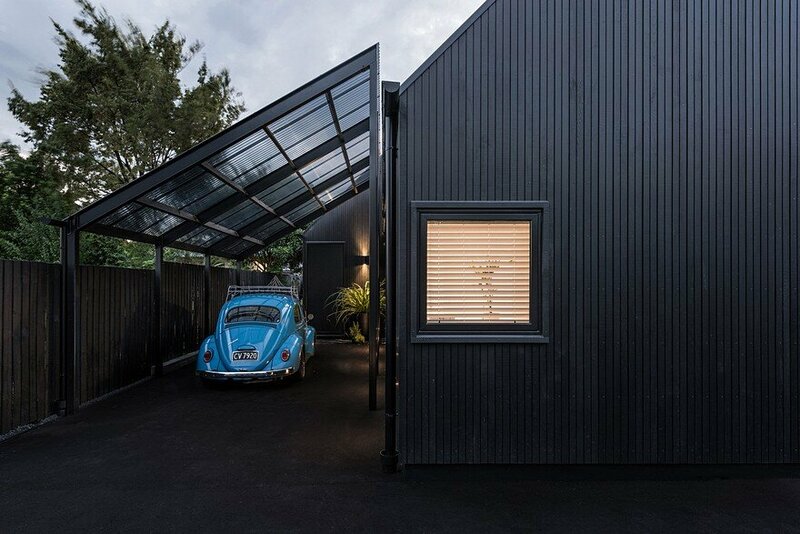 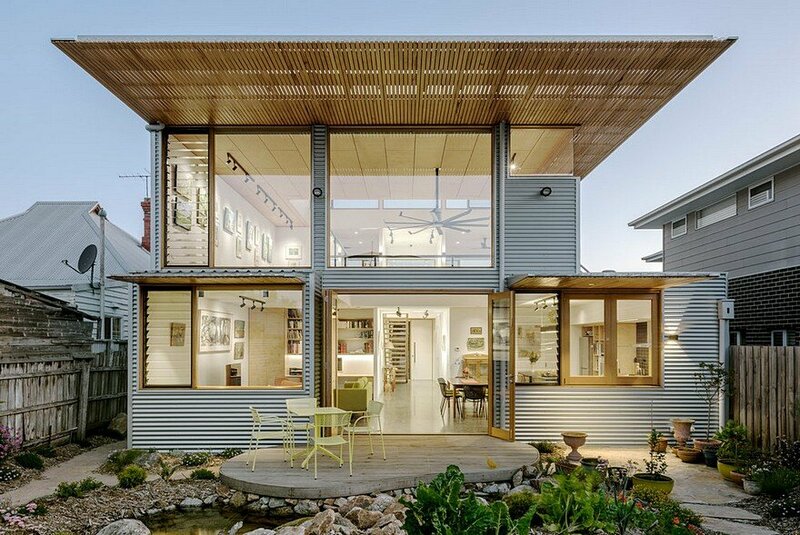 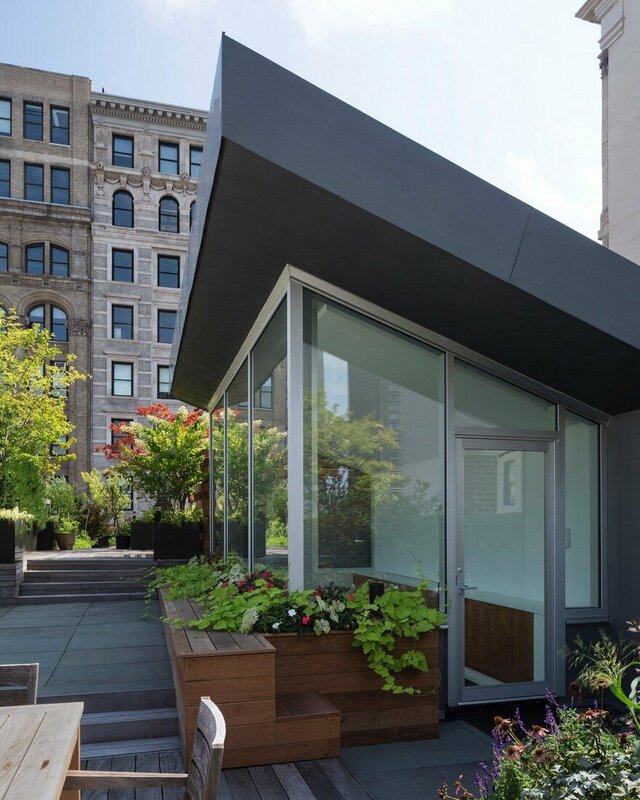 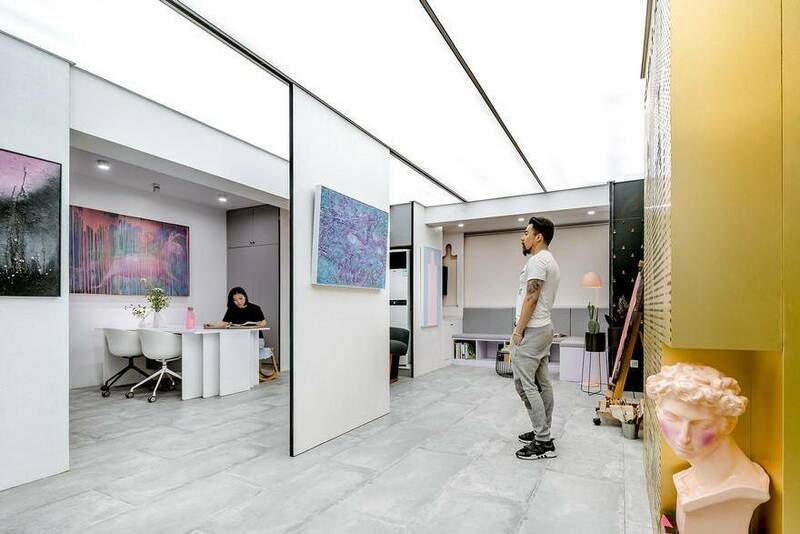 A zinc-clad bulkhead and central skylight serve to bathe the shared living and dining areas in light, and offer glimpses of the garden above.